Businesses spend significant resources (time, energy, and money) on a daily basis to gather, manage, and disseminate documents. File Sharing should be a simple, automated process, yet it is still not the case for many businesses. Additional complexity occurs when files come from outside the business, such as clients, partners or suppliers. Are data-sensitive documents safely transmitted back and forth? What controls are in place to ensure documents go to the right person? What changes have occurred to the document? Are documents being backed-up in a central repository? These are all relevant questions especially in light of compliance with government data privacy regulations such as HIPAA, SOX, GLBA and the IRS Compliance Initiative. MY Secure Link is state-of-the-art file sharing technology that is easy to use and deploy yet powerful enough to automate the process. MY Secure Link is a Cloud Solution so businesses can turn over the challenges of file sharing to MTC. A key differentiator of MY Secure Link is the integration of MTC’s proprietary 2-Factor Authentication Security into the solution. Individuals accessing MY Secure Link are provided with their own unique access (mobile device, tablet or laptop) and unique One-Time Password to ensure files are securely transmitted using MTC’s proprietary SSL/VPN Tunnel. MTC’s SSL/VPN Tunnel is like a metal pipe surrounding wires (encrypted documents), so you get a very secure transmission with MY Secure Link. Each of our customers are given their own MY Secure Link branded portal to ensure associates, clients, partners, and vendors recognize and associate with your business, not MTC. Once files are in the MY Secure Link repository, the power of automation kicks-in. Sending and receiving parties are automatically notified on their selected device as to the time and date the document was received. Advance Permission Setting allows businesses to determine who can view, modify, transmit, print and save documents. MTC’s Forensic Monitoring System will provide an audit trail for all activities related to each document. When everybody goes home for the day, a complete back-up of all the documents that have come through MY Secure Link are backed-up and secured. 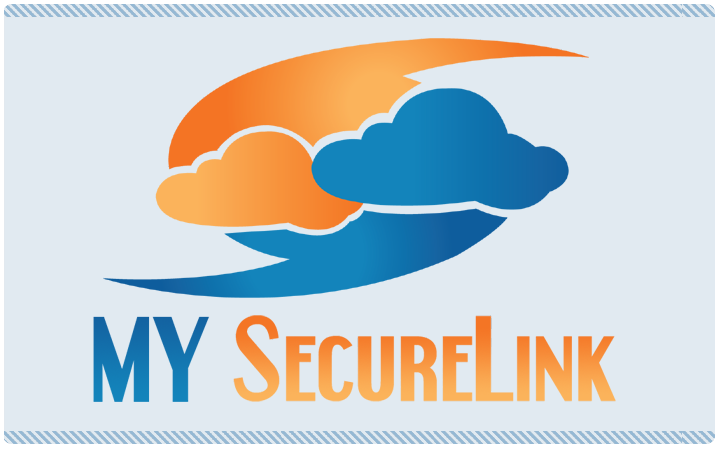 MY Secure Link is a low-cost productivity tool that has a very high return on investment and provides businesses with ease, compliance and peace of mind.